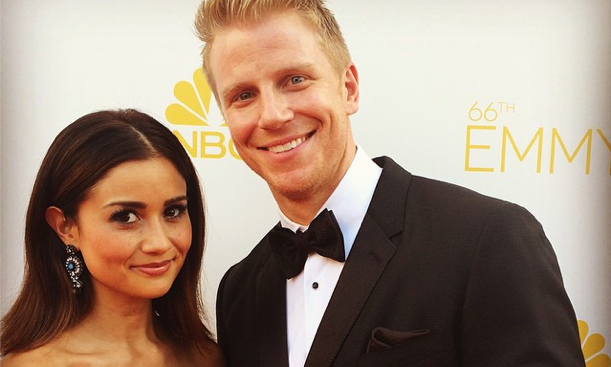 Sean Lowe says that wife Catherine is hot. Photo courtesy of Sean Lowe's Instagram. Season 17 Bachelor contestants Sean and Catherine Lowe have been going strong for nearly four years — a rarity for the Bachelor franchise, especially with all the recent drama surrounding the show. The couple sat down with okmagazine.com to reveal their “foolproof” marriage advice, which includes attending a marriage group, being committed, and constantly working on their relationship. We wish the best of luck to the Lowes, plus their adorable one-year-old boy, Samuel! This celebrity couple has come a long way since The Bachelor! What are some ways to keep your marriage strong? …Enticed by these reality stars’ successful marriage? Click here for more. 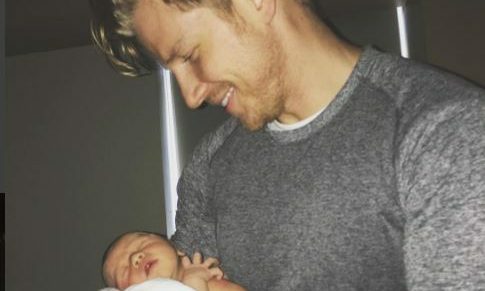 In celebrity news, The Bachelor alums Sean and Catherine Lowe have become celebrity parents! Catherine gave birth to a beautiful baby boy named Samuel Thomas. This celebrity couple will make wonderful parents as they are already enjoying being a mommy and daddy. According to UsMagazine.com, Sean loves being a dad. He said on Twitter, “Someone get me some cargo shorts and Crocs quick. I’m digging the dad life.” Their celebrity baby is already so beloved; it can only go up from here. You won’t see any regrets about this celebrity baby anytime soon! What are some ways to know your partner will be a good parent?